John Mikesell said he was thinking about retiring after almost 12 years running his business, Izzy’s Place: A Dog Bakery, at 816 W. Main St., Carmel. Mikesell, 74, was ready to travel and spend time with his partner, Carolyn Goeke, a co-owner who retired from daily shifts at the bakery some four years ago. “I love to travel, but John hasn’t been able to go with me since he’s working,” Goeke said. The hard part of the decision is what would happen to the business. Mikesell said he’s developed such great relationships with his customers — many of whom rely on him for all-natural healthy dog food and treats — and he didn’t want to let them down. So it warmed the hearts of Mikesell and Goeke to receive an e-mail from longtime friends and customers Maureen and Al Boulanger expressing interest in taking over ownership and buying the store. 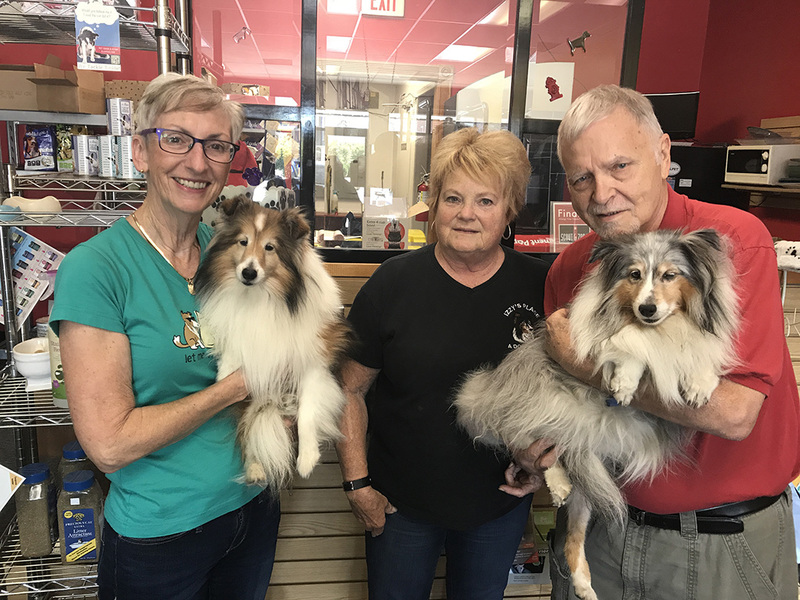 Maureen, who goes by Mo, said she’s been friends with Mikesell and Goeke for more than 15 years after meeting through a sheltie rescue organization. Mikesell and Goeke have owned several shelties over the years, and Maureen has four of her own. Maureen Boulanger grew up in New Zealand and came to U.S. almost 30 years ago. She comes from a hotel background and has left her day job to manage the store day-to-day. Her husband, Al, a co-owner, will continue to work at his own business. Mikesell and Goeke left the business at the end of September. The store itself will close for about two weeks for some updates and small changes as the Boulangers take over the shop. Mikesell said he’ll stop by on occasion to help with baking treats and fill in for shifts if the Boulangers are out of town. “I’ll be happy to help with the transition,” he said.